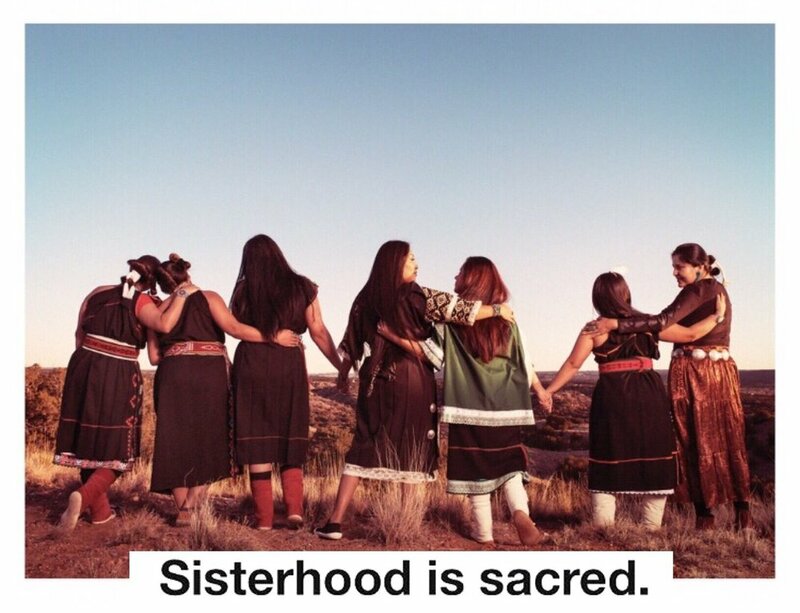 As an Indigenous Women, I find so much that surrounds our culture and traditions, as being beautiful. One of the things that always stood out to me was the beauty in our hair. Not simply just how long and beautiful it looks hanging down ours backs in braids, or however else we decided to wear it, but what I find most beautiful about our hair, is the religious traditions that are the reasons behind why we don’t cut our hair, when we do cut our hair and simply what our hair as a whole means to us. So many of our grandmothers and grandfathers, mothers and fathers, had to go through the trauma of having their hair cut at shoulder length or completely buzzed off when they were, what I look at it as, prisoners at Residential and Boarding Schools. This was a huge part of the way the White Man was trying to Kill The Indian In The Man/Woman. Having our hair cut was a sign of defeat and it was ultimatly humiliating. After that trauma, I feel that unfortunately, although they could never kill the ‘Indian’ inside any of us, it did hurt our traditions and made our Elders somewhat lose the comfort they had with the traditions of their hair because they simply did not have their hair to help them connect to those traditions and also due to the traumatic experience they were forced to go through. Trauma does horrible things to people, and I can understand why the utter humiliation and defeat caused by the White Man cutting our Elders hair, would hurt them in such a way. With that said, I am very hopeful that our youth, and next generations are taking it into their own hands to bring back our traditions and languages. All Tribal Religions are different, so every Nation & Tribe has their own traditions that are taught about hair. This post isn’t for anyone to follow as a guideline of how they should treat their hair or their children’s hair, as it examines all different Tribes and Nations traditions. If you want to learn more about your Nations traditions when it comes to your own peoples Tribal Traditions, I definitely suggest speaking with your Elders about this and seek in receiving some Teachings. For many Tribes, a ceremony is held for the first haircut of a child, after that, they let it grow. For example, the Dine & Navajo cut children’s hair on the childs first birthday. From than on, I’ve been taught that long hair is a symbol of Tribal Religious Traditions which teach that hair is only to be cut when one is mourning the death of a close relative. This is a symbol of our sadness from losing someone we love and also a physical reminder of the loss we have just experienced. Also, it is a symbol of the severing of ties with the loved one, freeing their spirit, and allowing them to enter the next world. The hair that is cut also signifies the time with our loved one that is now over while the new growth of our hair is the life afterwards. In some tribes the hair is cut after a full year of mourning. Because it is believed that our hair is the physical extension of our thoughts, it has also been taught that hair can be cut when one is separating from past thoughts or past actions, literally severing away past thoughts from future deeds. When someone is making a major life change, for example, that person is cutting loose the bad thoughts or even the person they once were, but have gone through healing to change. So they let go of that side of themselves by cutting the hair, and allowing new hair to grow in the form of the newly healed person they’ve become. When we cut our hair, we don’t just simply do anything with it as we have much respect for our hair. We offer our hair by either placing it in fire or burying it. When our offering of hair is placed in fire, our prayers are lifted up, sent through the smoke and moved by the power of the Moon and than given to our Father, the Creator. When our offerings of hair are buried, it is returned back to our Mother Earth, our Mother Earth than sends our intent through to the Moon than it is sent to our Father, the Creator. Native children are taught how to groom and take care of themselves, along with their immediate and extended families. The act of grooming one another unifies the bond of family. Native children are also taught to wash and rinse hair as well as the proper use of the plants. This includes which bulbs, roots and herbs, will bring beauty and light to the hair. It is very important to maintain the health of ones hair, as much as it is to care for ones physical and spiritual health. To elevate the spirits of our Children, while they are raised up, the spiritual level of teaching is also raised. During youth and the innocence of youth, we are blessed with beautiful hair. As Tribal People, our hair represents our Pure and Spiritual Thoughts, so the more pure and sacred your thoughts, the longer, healthier and vibrant your hair. As we grow older and lose our innocence, losing the light of pure thoughts and start involving our minds with dark thoughts, that is when we start to loose our hair as well as the shine it once had. If we take deep care in our spiritual and mental health, than it is shown through the beauty of our hair, and our elders know by just a simply looking at us that our thoughts are pure and spiritual. There are so many teachings about hair that I can’t possibly fit everything into one single article. What I wanted for this article was to touch base on the fact of, as Native Americans, why we keep our hair long, when and why we cut it as well as some of the teachings that begin in childhood. I hope that reading this article is a little reminder of the true beauty in our culture as Native Americans, and makes you consider learning these kinds of teachings from your own Elders as I do believe its very important that we continue to learn from them as much as possible so that we may pass on their knowledge and keep all of our traditions alive.